Pelvic Floor Dysfunction can be a very disruptive to a person's everyday life, not to mention the odor it can cause. Without proper regular evacuation, all kinds of odorous chemicals produced by bacteria stays trapped in the intestines, which may seep into the bloodstream for the cleansing organs to eliminate from the body. These organs are the lungs (breath), skin (perspiration), and kidneys (urine). An easy home treatment for this condition is the Kegel exercise, or pelvic floor muscle training exercise. Therefore, a sufferer of halitosis may never think to consider the pelvic floor being a contributing factor, but it very well may be. In fact, any sufferer may have more than one source of odor. This is why MEBO has never wanted to focus all our attention on TMAU. 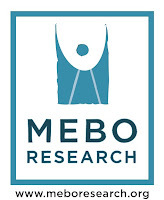 After all, just look at the MEBO TMAU Test Results Charts (scroll down to see all posts). It is evident that most of the chart is white, meaning that the majority of sufferers DO NOT HAVE TMAU! As a community, we focus so much attention on TMAU, as it has become the flagship of tests because it has been the only test left when the medical establishment can give us no answers. However, we need to take another look at other options. There are other areas we need to look at. We have to look for answers, and not give up when TMAU has been ruled out to most of us. My fecalbodyodor didn’t start till after I had problems with chronic constipation. It took me 13 years to even get the right dr (colorectal surgeon) to give me the proper testing to diagnose me. Prior to that I kept getting sent to that I kept getting sent to gastroentologists who didn't do anything for me.I saw 5 in total and had 2 colonoscopies, ct scan of abdomen, upper endoscopy and everything came back normal. I found out about the colorectal surgeon on my own and made an appointment. Though I haven't done the pelvic floor therapy that I was supposed to have done but can't due to an upcoming heart surgery, I believe once my bowel starts functioning properly my odor will go away . I'll post any updates once I start the therapy. If anyone hasn't had a lower gut motility test done get one done ASAP.